Thinking of entering the Surf Coast Century? Geoff Hook was the principal person responsible for the formation of AURA. At a meeting of ultra runners at his home in Mount Waverley, an eastern suburb of Melbourne, on 6 February, 1986, it was decided to proceed with the formation of an Association to promote the sport of ultra running. AURA was born on 5 May 1987. Geoff was instrumental in the development of the IAU of which AURA became a member. He acted a President for the first 13 years of AURA’s existence and was behind the creation of the various rules & records still in use today. Geoff can be proud of his great contribution to the sport and to AURA. Dot Browne acted as Secretary and newsletter editor for the period from the formation of AURA until her retirement in 2000. Dot was a jill of all trades and the pivotal point for all communication with ultrarunners, members, race directors etc. She also acted as race director at many races. Dot was an untiring worker and a great supporter of the sport and of AURA, for which her contribution is gratefully acknowledged. Behind many great women there’s a very supportive husband. During his 13 year stint with AURA, Colin acted as Treasurer and provided support wherever required. He acted as records officer upon the retirement of Gerry Riley and assisted with the conduct of many races. For Colin, no job was too large or too small. He, too, can be very proud of his contribution to the sport and to AURA. Gerry acted for many years as statistician (now known as Records Officer) from AURA’s inception in 1987 to 1997. Gerry’s work required that he establish the records from scratch and when he undertook the task he had to complete it without the aid of computers; quite a formidable task. Gerry was also a very accomplished ultra runner, contesting several Colac 6 day races (normally clocking up 750 kms) and was a quite prolific 24 hour runner, normally achieving 200km plus. He was a regular competitor at the Box Hill and Adelaide 24 hour events, Manly 100 milers and Coburg 100 km. He was one of the first Australians to run 100 marathons and played a significant role in organising the 50 mile championships when conducted by the Victorian Marathon Club, prior to the inception of AURA. Kevin was also a foundation member of AURA and has assisted at various levels for the 25 years of AURA’s existence. 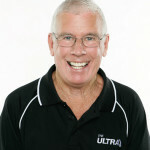 For many years he was race director of the Percy Cerutty Frankston to Portsea race and was the editor of Ultramag after the retirement of Dot Browne in year 2000 until 2009. Kevin is a walking encyclopaedia on anything to do with ultrarunning and he can be very proud of his contribution to AURA and to the sport. Ian assumed the presidency of AURA in 2002 when the association was at a low point. He was responsible for reinstating the 100km championships, not held since 1996, and he introduced a system whereby the association was able to make a contribution towards the travel costs of teams to represent Australia in international competition at the world 100km, 24 hour and ultra trail championships. Ian also introduced an insurance scheme for sanctioned races, with the purpose of enabling race directors to conduct races without financial risk from public liability. He introduced the Hall of Fame, Life Memberships and annual awards to recognise outstanding performances and contributions to the sport. Ian brought electronic timing to track races in 2003, established the AURA website, an email newsletter, and an annual reporting system showcasing the activities for each year. During his tenure in office (2002-2011) the number of sanctioned races trebled, memberships quadrupled and participation grew tenfold.